Calling all Graduates and College leavers! 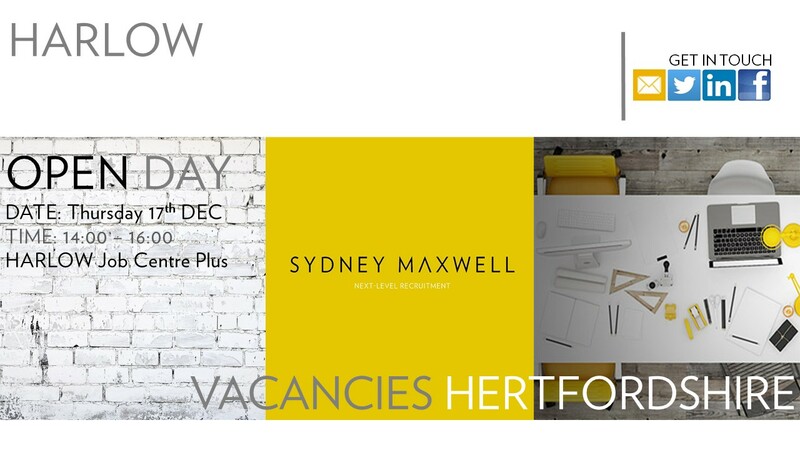 Sydney Maxwell are working their way across Hertfordshire, looking to recruit entry level candidates for permanent Hertfordshire based vacancies. Dates released across HARLOW and HERTFORD with STEVENAGE to be confirmed.